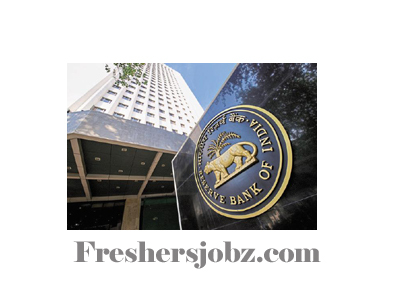 RBI Recruitment Notification 2018.Reserve Bank of India RBI has released a notification for the recruitment of Legal Consultant vacancies.Check the eligiblity and notification prior to apply for the positions. a .Educational Qualifications (as on 01-09-2018) a) Bachelor’s Degree in Law recognized by the Bar Council of India for the purpose of enrollment as an Advocate with a minimum of 50% marks or equivalent in the aggregate of all semesters/years; and b) Master’s Degree / Ph.D in Law from a recognized university. b) Desirable: Experience in Taxation laws, International laws, laws relating to Banking, Payment Systems, Forex and Cyber / IT Laws. c. Remuneration: The compensation package (without providing housing) will be equal to Cost-to Company (CTC) equivalent of Grade ‘F’ Officers in the Bank (presently Rs. 36 lakh perannum subject to tax (pre-revised). The selected candidate will be offered a compensation package on CTC basis. d. Job Responsibility: a) Providing legal opinion on the matters referred by the Bank. b) Providing legal advice on policy issues, support and guidance on any legal matters as desired by the Top Management. c) Assisting Governor / Deputy Governor / Top Management whenever they are required to depose before the various committees of Parliament or any other such forum. d) Providing support for finalizing the strategies for dealing with Court cases of importance for the Bank. e) Vetting of draft legislation and sub-ordinate legislation. f) Attending Conference with Legal Counsels whenever outside opinion is sought by the Bank and participating in meetings with Senior Government officials, when required by the Bank. g) Preparing draft pleadings, briefing the Bank’s Advocates, attending proceedings before the court, etc. h) Any other work as may be assigned by the Bank from time to time. b) Desirable: Master’s Degree /Ph.D. in Law from a recognized university. a) Essential: At least ‘Seven years’ experience as an Advocate or as a Law Officer in the Legal Department of a large bank/financial institution/statutory corporation or in the Legal Department of Central/State Government or as a partner in a Law firm providing legal advice. c. Nature of Appointment: Appointment will be on contract basis (Full Time) as Legal Consultant equivalent to the post of officer in Grade C / D.
1. Legal Consultant (Grade ‘F’) (On Contract Basis) - Selection will be through interview only. Familiarity and capability of the candidate to deal with issues relating to Banking Regulation Act, 1949, RBI Act 1934 and FEMA ,1999, etc., inter alia may be judged during the interview. 1. Candidates have to apply only online through the Bank's website i.e. www.rbi.org.in from 21/09/2018 to 05/10/2018. No other means/mode of applications will be accepted. Candidates are required to apply only online using the website www.rbi.org.in. No other means / mode of application will be accepted. Instructions for filling up online applications are available at Appendix –I which is available on the Bank’swebsite www.rbi.org.in. 2. The applicants are advised to submit only single application; however, if due to any unavoidable situation, if he/she submits another/multiple applications, then he/she must ensure that application with the higher Registration ID (RID) is complete in all respects like applicants’ details, photograph, signature, fee etc. The applicants who are submitting multiple applications should note that only the last completed applications with higher RID shall be entertained by the Board and fee paid against one RID shall not be adjusted against any other RID.The Online Applications can be filled up to October 5, 2018 till 12:00 midnight.